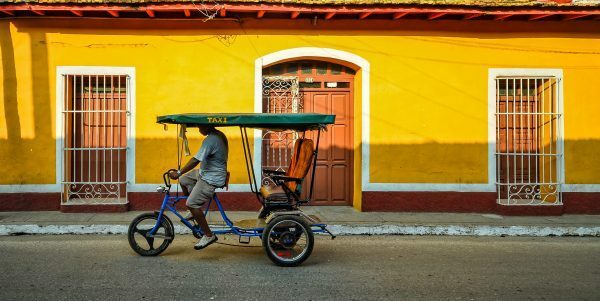 We’re gearing up to celebrate the release of Tom Miller’s latest work Cuba, Hot and Cold, which takes readers on an intimate journey from Havana to the places you seldom find in guidebooks. 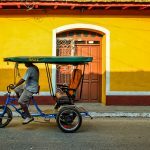 We recently sat down with Miller to get his thoughts on Cuba’s future in a post-embargo era and his advice for aspiring travel writers. How did you get your start as a writer, and, more specifically, a travel writer? I started writing for a number of reasons. First, I had no marketable skills, an admirable quality for beginning writers. I became active in the anti-war movement – we’re talking late 1960s, during our war against Vietnam – and saw a niche for myself. The anti-war groups had horrendous propaganda. I remember very distinctly looking at a poster for an anti-war rally and saying, “I can do better than that.” “Be my guest,” said one of the activists as he pulled a rickety chair out – all chairs in the anti-war movement were rickety – and dramatically placed it at a table with a typewriter. So began my start as a writer. As a travel writer, I began by default. I had written a book about life along the 2,000 mile U.S.-Mexico border. When On the Border came out from Harper & Row, reviewers always referred to it as travel writing. I didn’t call myself a travel writer. I was anointed one. You’ve been traveling to Cuba for more than 30 years, what keeps bringing you back? Habit. Family. Continuity. Discovery. There’s always something new. In your introduction, you touch on a few run-ins with the CIA and jokingly dedicate the book to the readers, their neighbors, and the CIA for their repeated attempts to turn you informant. What has been your most nerve-wracking encounter with government agencies? Actually, none. Even when Cuban state security had me in custody, I thought to myself, well, at least I can get a good story out of this. With more and more Americans traveling to Cuba, how might the island change? Forget the travel part and specialize in a place or medical field or language or sports or athletes or crafts or chemistry or education or soil conservation or song lyrics. Just remember: always have a subtext. I’m rereading The Eighth Day by Thornton Wilder, a book he began during his tenure in Douglas, Arizona in the early 1960s. When the novel came out in 1967 it was a grand commercial and critical success – all but forgotten now. 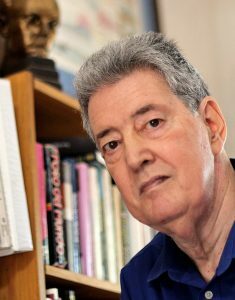 Tom Miller will celebrate the release of his new book Cuba, Hot and Cold on November 9, 2017, as part of the Association of American University Press’s National “University Press Week.” Find out more about the event here.